2015 SPRING NEWSLETTER - Fanning Harper Martinson Brandt & Kutchin, P.C. - Fanning Harper Martinson Brandt & Kutchin, P.C. Fanning Harper Martinson Brandt & Kutchin, P.C. is pleased to provide you with our Spring 2015 Newsletter and Legal Update. Below you will find information regarding successes and activities of our attorneys. Please click the hyperlinks for updates regarding Local Government, Constitutional and Civil Rights Law, Products Liability, School Law, Employment Law, Automobile and Trucking Litigation, Premises Liability, Land Use, Zoning, and Regulatory Taking, Insurance Law, Homeowners’ Association Law, and Special Education. Please call us with your questions or comments. THOMAS P. BRANDT, JOSHUA SKINNER, and STEPHEN HENNINGER obtained dismissal of a lawsuit against a school district that had been filed by parents of a student who had been disciplined. Following a fighting incident, the student had been assigned to in-school suspension. The parents filed suit, arguing the disciplinary measure was improper and asking the court to enter an order stopping the discipline from taking place. The school district filed a plea to the jurisdiction, asking the court to dismiss the case because school disciplinary decisions that fall short of expulsion are not subject to judicial review. The trial court agreed and dismissed the case. MARC H. FANNING had an important victory at a hearing involving a “Special Appearance – Objection to the Jurisdiction” heard in Hood County District Court where he was representing a Georgia envelope printer who had sold printed envelopes to a customer in the State of Texas. A dispute arose regarding the order and the issue presented to the Court was whether or not the printer had conducted business in the State of Texas to avail themselves of and be subjected to jurisdiction of Texas. Mr. Fanning filed a “Special Appearance – Objection to the Jurisdiction” on behalf of the printing company, with a supporting affidavit from the client. The Plaintiff testified and did her best to try and convince the Court that the insured had engaged in significant enough contacts to hold it in this lawsuit in Texas. Mr. Fanning cross-examined her and demonstrated to the Court that it was the Plaintiff who had engaged in all the contacts and the Defendant had just filled an order and shipped it from Georgia to Texas. Mr. Fanning also presented case law supportive of the Defendant’s position. In the end the Judge was convinced that jurisdiction should not attach to the Defendant and ruled in the Defendant’s favor. The Georgia client was most pleased that she would not have to be required to defend this lawsuit in the state of Texas. MARC H. FANNING obtained a summary judgment for a well-known grocery store chain in the North Texas area, disposing of a slip and fall premises type of case in favor of his client. 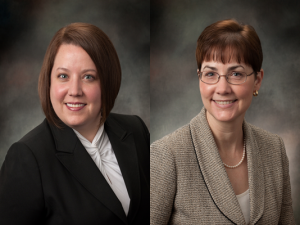 FHMBK would like to congratulate JENNIFER L. KELLEY and LAURA O’LEARY on becoming Members with the firm. THOMAS P. BRANDT made a presentation on the topic of students’ Free Speech issues at the Texas Association of School Board’s 2015 Fund Members’ Conference held in Austin March 29 – 31. 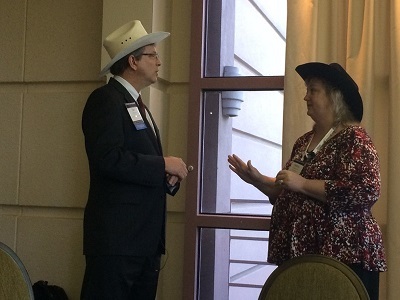 THOMAS P. BRANDT was a co-presenter with Debbie Bonner and Stan Lewiecki with the Texas Association of Counties at the 2015 County Management & Risk Conference sponsored by Texas Association of Counties held in Austin, Texas April 8 through April 10. He and his co-presenters spoke on the importance of having and publishing personnel policies, common mistakes, and errors to avoid. Member JOSHUA SKINNER was recently appointed to the University of Dallas National Alumni Board. THOMAS P. BRANDT and FRANCISCO J. VALENZUELA will be presenting at the Texas Bar CLE 2015 Advanced Government Law Boot Camp and Annual Course scheduled to be held in Austin from July 22 – 24. Tom will be speaking at the boot camp on July 22 on the topic of Individual Immunity. Tom will also serve as a moderator at the course on Friday, July 24 during a panel discussion on Disciplining and Defending Police Officers and Municipalities Post Ferguson. Frank will also be speaking at the course on July 23 providing attendees with an update on the Texas Whistleblower Act. THOMAS P. BRANDT, FRANCISCO J. VALENZUELA, and LAURA O’LEARY are all scheduled to present talks at the 2015 TASA/TASB Convention in Austin. Mr. Valenzuela will be presenting an update on the Texas Whistleblower Act along with Valerie Carrillo, General Counsel for the Fort Worth Independent School District, at 12:30 p.m. on Friday, October 2, 2015. Mr. Brandt and Ms. O’Leary will be joined by Amanda Bigbee, General Counsel for Keller Independent School District, in their presentation, “Anatomy of a School Lawsuit: What to Expect When You Get Sued.” This session will take place at 8:45 a.m. on Friday, October 2, 2015. Please come join us if you are attending the conference.